If a genie appeared before Clint Bowyer in the middle of the night and granted him a single racing wish, it wouldn’t take long for the Emporia, Kansas native to make a request. Heck, anyone even vaguely familiar with Bowyer over the years can already guess his wish. Bowyer has already made a trip to victory lane in 2018 by taking the checkered flag at Martinsville (Va.) Speedway in March. But he obviously feels it’s important to run well in front of family and friends. He lives in North Carolina but his heart is still in Emporia, where he’s a big part of the community. 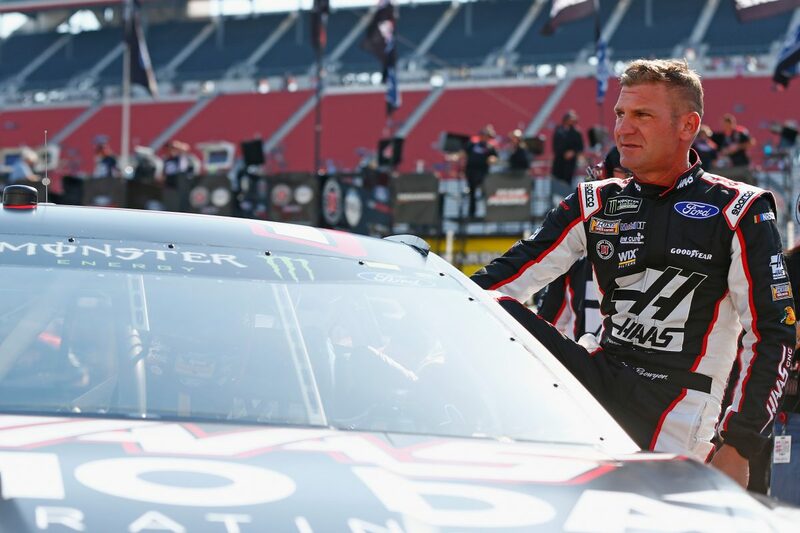 In March 2013, he bought the Clint Bowyer Autoplex car dealership on U.S. Highway 50, where he once worked as a lot attendant, dent specialist and detailer. Across the street sits the Clint Bowyer Community Building, constructed in 2012 thanks to a $1.5 million donation from his foundation. Inside are 25 computers at the public library. There is a scoreboard at the aquatic center, a video camera at the auditorium, shoes for the Big Brothers-Big Sisters program, backpacks for kids, Christmas trees for needy families. And, in nearby towns, playground equipment and the reconstruction of a tornado-ravaged community center – all of it and more paid for by Bowyer’s foundation, or out of the driver’s own pocket. Bowyer takes Kansas with him wherever he goes. In April, he told a Dallas press conference that despite having fun at the Cowboys practice facility the night before, he’s still a diehard Kansas City Chiefs fan. He often talks with Kansas City Royals manager Ned Yost and, moments after winning at Martinsville, he publicly, and unsuccessfully, lobbied wife Lorra to permit him to forego a family vacation and attend the NCAA men’s basketball Final Four that included – yes – Kansas University. Some might say Bowyer has already used up his wishes in 2018. It’s been a magical season as he returns home fourth in the standings after leading three times for 40 laps and posting a second-place finish at Dover (Del) International Speedway last Sunday. In 2018, he’s logged a victory, three top-five finishes and seven top-10s, led 300 laps and sits 86 points out of first place. His four-car SHR team placed three in the top five and all four in the top-11 at Dover. SHR has won five of the season’s first 11 races, posted 13 top-fives and 25 top-10s and led 1,259 of 3,635 laps. Bowyer’s list of racing accomplishments includes a NASCAR Camping World Truck Series victory at Kansas in 2011, but it’s a Cup Series trophy from the track that he hopes will take center stage in his trophy case. Over the years, Bowyer has enjoyed some success at Kansas Speedway, posting two top-fives and six top-10s with 51 laps led in 19 starts. Bowyer said he’ll know how the Kansas weekend will go early in practice Friday. Bowyer said once practice starts, the driver who can get his car to work in the track’s different lanes stands the best chance to win Saturday night’s race. If Bowyer’s victory wish comes true, then expect that genie to be quite popular Saturday night in Kansas, most definitely earning an invitation to what would undoubtedly be an impressive party in the infield after the race. What has Kansas Speedway meant to the area? What are your thoughts on Matt Kenseth’s return to Cup Series racing at Kansas?